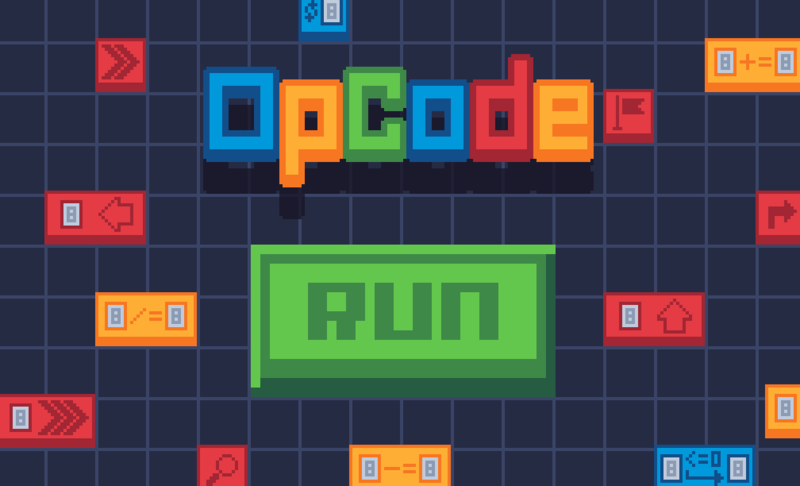 Opcode is a 2d, tile-based puzzle game where your objective is to program a robot to reach a certain tile. 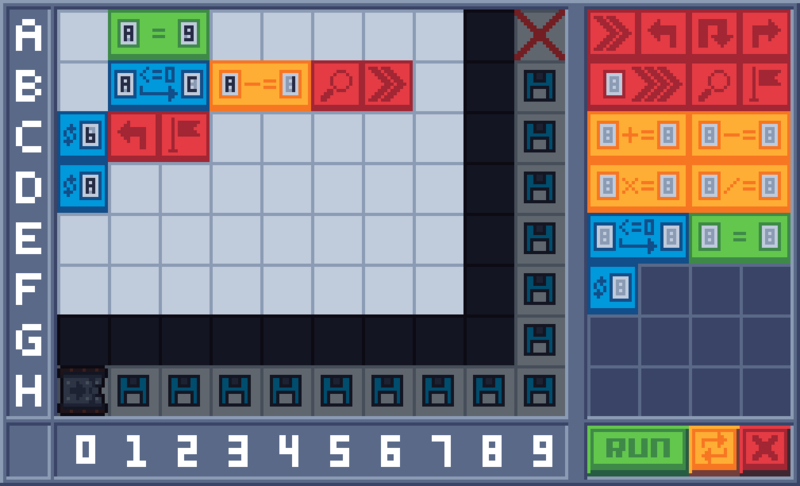 To this end, you can drag and drop coding blocks (“opcode”) into the level itself, thus setting up the robots program. 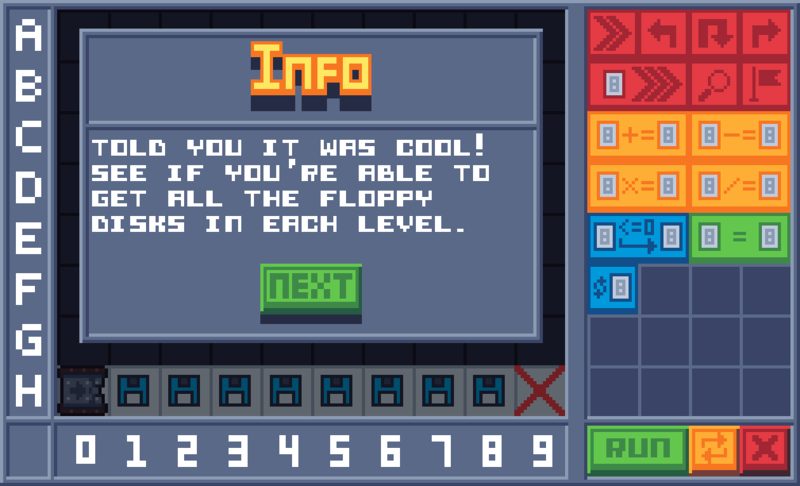 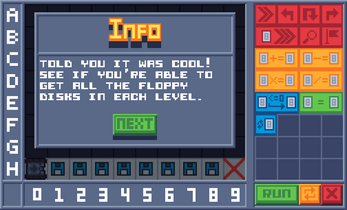 In addition to trying to reach the end, most levels contain floppy disks that you can try to collect. 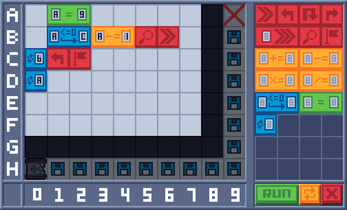 Bug fix: No longer crashes upon winning.